Feb 7, 2017 Posted by AAfterwit on Feb 7, 2017 | Comments Off on All The Fake News That’s Fit To Scream About. All The Fake News That’s Fit To Scream About. Over at the Federalist, they have made a list of fake news stories that have gone viral since the election of Donald Trump. What is interesting to us is that after losing the election, the Democrats, Obama, and Clinton blamed their lose in part on what they called “fake news stories.” These were stories that are created or passed around in social media but have little or no basis in fact. We hate those stories. We don’t care who is the target of them, we hate them. I ideology here doesn’t allow us to go into the depths so far that we think that deliberately lying is acceptable. Certainly people are going to make mistakes, and we accept that. But when you breathlessly tweet something or put it on Facebook hoping to get re-tweets and hits on your “wall,” something is wrong with you. While the Democrats were screaming about “fake news stories” and how they allegedly harmed Clinton’s election chances, the left has been silent over the same types of “fake news” when it concerns Donald Trump. We wonder why that is? Here’s a summary of the incidents, but you should go over to The Federalist and take a look at the actual article as it is replete with documentation and citations on where the story came from and why it is false. Jan 27, 2017 Posted by AAfterwit on Jan 27, 2017 | Comments Off on Mark Twain and Donald Trump. Mark Twain and Donald Trump. Twain’s point was that in a world where newspapers controlled what the public read, understood and discussed, a person doesn’t want to get into a fight where their voice is much smaller and not nearly as loud as that of newspapers. Certainly, that advice seems to have been heeded by people, including politicians during the golden age of radio and through the age of television where basically three networks controlled what people saw and heard as news. It is therefore puzzling somewhat that President Donald Trump would begin a war – or maybe it is better said that he responded to a war launched by the media – with the media itself. 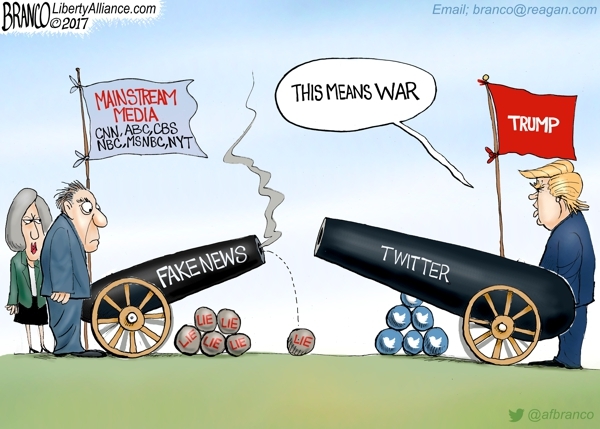 A. F. Branco’s cartoon below illustrates the fight somewhat. A decade ago, we may have agreed with the assessment that it is better to make nice with the media than pick a fight with them. But with Al Gore’s invention of the internet, a shift has occurred. People no longer are getting their news strictly from newspapers and the networks. Blogs and other online outlets have millions of readers and perhaps even more important, millions of eyes watching out for newsworthy items and writing about them. Social media – for better or worse – has become a source of information as well. The result is that trust in the traditional media is at an historic low. 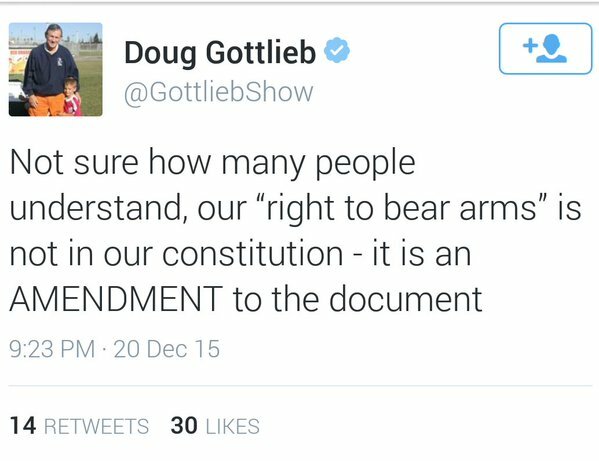 The Bill Of Rights Is Not Part Of The Constitution? 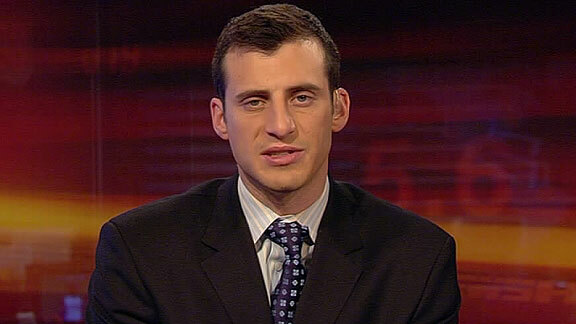 Doug Gottlieb is a reporter and radio talk show host for CBS Sports. Gotlieb originally went to the University of Notre Dame on a basketball scholarship and after some legal issues there, he transferred to Golden West College and then to Oklahoma State where he thrived and graduated. Dan Joseph from MRCTV asked Matthews about his leg prior to the Republican Presidential Debate on Wednesday. Clearly this was an ambush and a set up, but Matthews has never shied away from situations where he is doing the ambushing. The reaction when the tables are turned is both typical and somewhat disturbing. If Matthews had ambushed someone and been told to “go to hell,” that sound clip would have played over the air time and time again. We bet that Matthews won’t play this on his show at all. Dec 20, 2014 Posted by AAfterwit on Dec 20, 2014 | Comments Off on Teacher Reassigned For Fake Musket in Class. Reporters Show They Are Clueless. 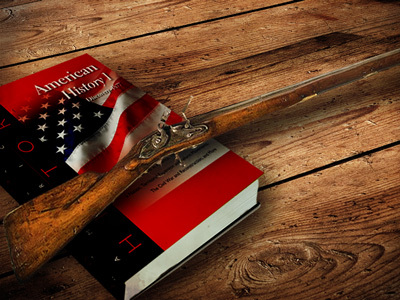 Teacher Reassigned For Fake Musket in Class. Reporters Show They Are Clueless. Local 6 has learned the toy musket was used during the history teacher’s lesson on the American Revolutionary War. The eighth-grade teacher, identified as Gema Evans, used the prop last week. But this week, students came forward with concerns. The Osceola County School District said several complained that they were frightened by the replica. Students were frightened by a toy gun? One that couldn’t fire? Kids today seemed to be bored by history. So when the teacher brings in a non-harmful (much less non-lethal) replica so students can touch, see, and feel the type of weapon that fired “the shot heard ’round the world,” the type of weapon used at Lexington and Concord after Paul Revere’s (in)famous ride, and the weapon that was used at Yorktown, she gets “re-assigned” for bringing history to life? Who are the idiots running the schools these days? There is so many things wrong with Muniz’s report (as well as the statements made by the news anchors) that it is hard to know where to begin. Jun 15, 2014 Posted by AAfterwit on Jun 15, 2014 | Comments Off on Eyes On The Road. An effective ad from Volkswagon on texting while driving. Sometimes good ads aren’t about selling things, but rather reminding people you want them around to sell to. May 29, 2014 Posted by AAfterwit on May 29, 2014 | Comments Off on CNN Anchor Makes Major Mistake. CNN Anchor Makes Major Mistake. Carol Costello anchors the 9 a.m. to 11 a.m. (ET) edition of CNN Newsroom each weekday. She is based in the network’s world headquarters in Atlanta. Costello previously contributed to The Situation Room and anchored CNN Daybreak, the network’s former early morning news program. Costello has interviewed four former U.S. presidents, President Jimmy Carter, President Ronald Reagan, President George H.W. Bush and President Bill Clinton and has covered four presidential inaugurations. Costello was a part of CNN’s Peabody Award winning coverage of the Gulf Oil Spill, the 2008 presidential election and Hurricane Katrina. During her time with CNN, she has also reported on the last Space Shuttle launch, the Ohio midterm elections, the shooting at Virginia Tech, the tsunami disaster in South Asia, the Russian school hostage crisis and Hurricanes Charley, Frances, Ivan and Jeanne. Costello’s work has been honored numerous times, including a 1991 Emmy Award for a special on crack and cocaine, a UPI award, several Associated Press awards and an Emmy nomination in 1993. Costello joined CNN in October 2001 from WJLA-TV in Washington, D.C., where she’d worked five years as an anchor and investigative reporter. Before that, she spent three years at WBAL-TV in Baltimore as an anchor and co-anchor. She began her career as a weekend anchor and reporter for WAKR-TV in Akron, Ohio, then moved to WBNS-TV in Columbus, Ohio, to work as the station’s principal weeknight anchor. Costello earned a degree in journalism from Kent State University in Kent, Ohio. With all that experience, awards and a college degree, did Costello really think that the First Lady of the United States – the President’s wife – signs bills into law? We are often forgiving of people who, when speaking extemporaneously screw something up. It is easy to do. Yet this seems to be read from a tele-prompter which makes things worse as someone would not only have had to write it, but approve the script. We want to be helpful to the people at CNN that missed this.